UPDATE, April 11: The four men have been released on bail. More information below. 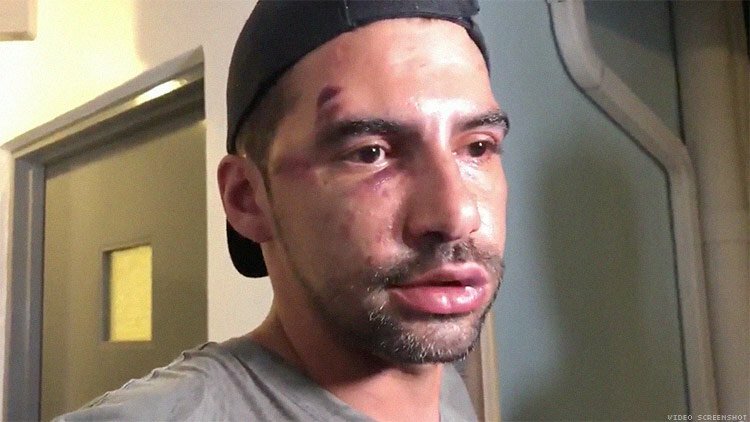 Last weekend a couple was gay bashed in Miami Beach, Florida, after attending the city’s Pride parade. The attack was recorded on video, showing four men attacking a gay couple as well as a bystander who tried to break up the fight. 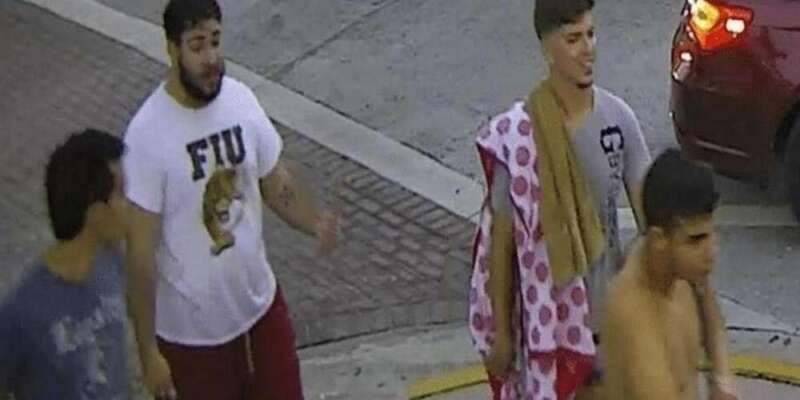 The Miami police released a photo of the suspects (pictured above), and on Tuesday the men suspected of committing the Miami gay bashing turned themselves in. On Sunday night at approximately 7:40 p.m., Rene Chalarca and Dmitry Logunov were waiting in line for public restrooms following the South Beach Pride parade. They hugged each other, and shortly after, four men came up to them and attacked while shouting homophobic slurs in Spanish at them. The couple attempted to run away, but the attackers chased them. They received multiple cuts and bruises, and Logonov was knocked unconscious. Chalarca and Logunov weren’t the only people hurt by the attackers. Helmut Muller Estrada tried to break up the attack and was also punched. He was hospitalized and received four stitches to the back of the head. 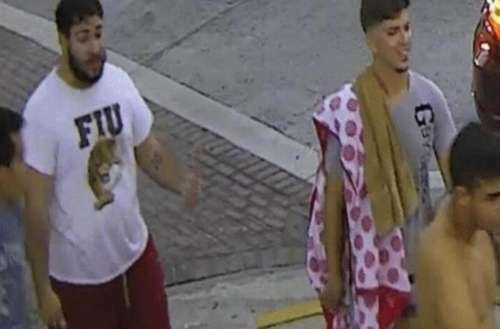 According to Miami Beach Police, the four men sought as suspects in the attack turned themselves in on Tuesday at 5:30 p.m. According to police, the four men are Luis M. Alonso, Juan C. Lopez, Adonis Diaz and Pablo Reinaldo Romo. All the men are 21 years old, except Alonso, who is 20. Police anticipate the men will receive felony charges. On Wednesday morning, the four men were released on bail. They’ve been charged with felony aggravated assault, however the state attorney’s office has not yet decided whether or not the attack will be tried as a hate crime. 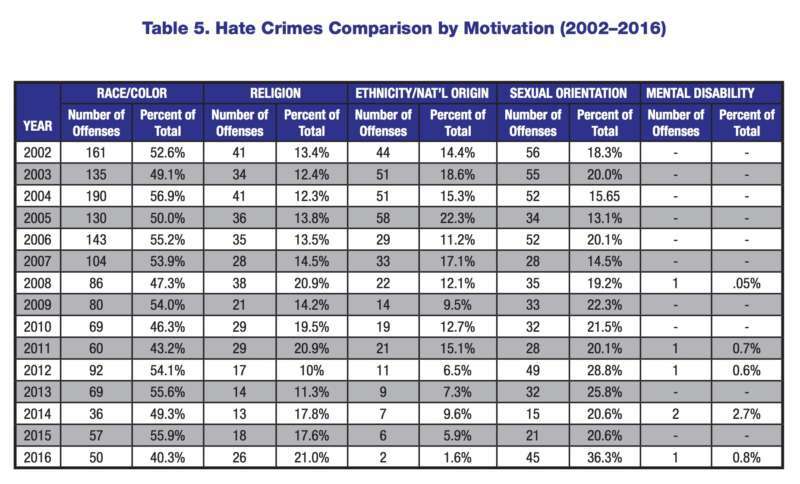 While Florida has some of the strongest hate crimes in the country, it doesn’t necessarily help, due to underreporting. Between 2015 and 2016, the Miami-Dade Police Department reported only one hate crime. Florida’s hate crime laws aren’t perfect, either; while they protect people based on sexual orientation, there are no protections for gender identity. Similarly, hate crimes against LGBTQ people in Florida — and in general — are on the rise. According to the Florida Attorney General’s office, in 2016, anti-LGBT hate crimes made up 36% of the total number of hate crimes. Unfortunately, though there are many instances of gay bashing, similar attacks are rarely prosecuted as hate crimes. Even in Florida, members of the LGBT community don’t trust the police to help, and are more unlikely to report. For example, according to Reuters, Payton Hale, a trans woman, was beaten in a 2015 attack in Hollywood, Florida; she and her friend said the police didn’t pursue the attackers — despite that the attackers were across the street when the police arrived. What do you think about this Miami gay bashing? Sound off in the comments.